This book focuses on relatively unexplored areas in pension and health care arrangements, including financing, in East Asia. 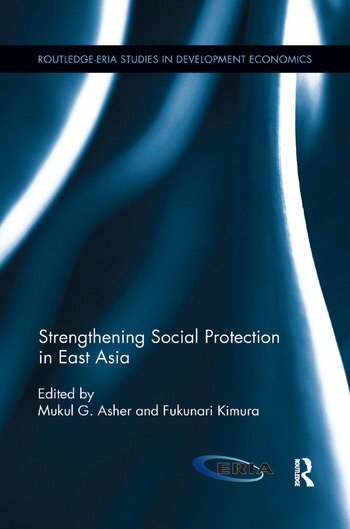 The book aims to fill the literature gap on social protection in East Asia by covering issues such as pension and health care arrangements in the depopulating high income countries of Japan and Korea; the challenges of the pay-out phase in Defined Contribution (DC) arrangements in Australia, New Zealand, and Singapore; and the extension of coverage of social protection schemes in China, India, and Indonesia. It also reviews social protection from a much wider perspective and extends coverage of social protection in terms of both the proportion of the population with access to the social protection scheme and the types of risks faced by the households and by society as a whole. The book also gives attention to reforms of civil service pensions. Mukul G. Asher is an Indian national, specializing in social security and public financial management issues in Asia. He has published widely in national and international journals and has authored or edited more than 10 books. He is on the editorial advisory boards of several journals, including the International Social Security Review. He has been a consultant to multilateral organizations and has led executive training programs for officials of several countries, including Indonesia, India, Sri Lanka, Kazakhstan, Brunei, and Tanzania. His interactions with media have been extensive. Fukunari Kimura has been Chief Economist of Economic Research Institute for ASEAN and East Asia (ERIA) since 2008 and Professor at the Faculty of Economics, Keio University, since 2000. He obtained his PhD (in Economics) from the University of Wisconsin-Madison in 1991.